The first and best free walking tour in Athens! 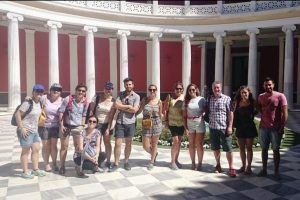 For years, countless travellers have joined our walks, making ‘Athens Free Walking Tour’ a favorite introduction to the city of legendary hero Theseus and of goddess Athena. Explore the city that has over 4000 years of history and discover all the facts, myths and secrets that you won’t find in your guidebook. Today, the city is a modern metropolis and the capital of Greece. 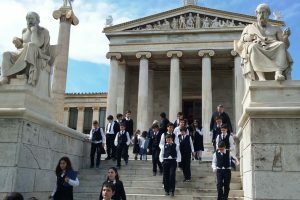 But the grace of Athena still lingers all around… Our English-speaking local experts will share their knowledge and passion for Athens with you. Get an inside look at the Cradle of Western Civilization on foot and discover many of the city’s hidden gems that tourist buses can’t reach. To join one of our walks simply contact us and fill in the date that you would like to participate. We always try to keep groups small… So send us a message and we’ll be happy to reserve a place for you and send all necessary details as soon as possible. ‘Athens Free Walking Tour’: The best intro to Athens, trusted by legions of travellers! 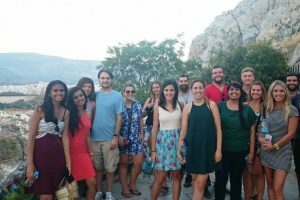 Well-versed tour leaders will walk with you through different parts and streets of Athens, mixing the old and the new, while sharing stories known only to locals and history buffs! Our walks run 7 days/week. We meet both in a convenient time of the day, depending on the season – just email us for the exact info. There sure is a convenient day and time just for you! We follow a relaxed pace visiting parts of both modern and ancient Athens. The walk takes 2 to 2 and a half hours, depending on how much of a history buff you are! We love questions!